Kathy L. Gottschall, 63, of Jersey Shore, entered into her Lord’s Holy presence on Thurs., Feb. 28, 2019 at The Gatehouse in Williamsport; where she was surrounded by her loving family. Kathy was a lifelong resident of Jersey Shore, born June 18, 1955 she was a daughter of the late George L. and Virginia (Smith) Hughes. She was a graduate of Jersey Shore Area High School; continued on to college and received her Bachelor’s degree in Education. On April 15, 1978, she married the love of her life Douglas R. Gottschall and they just celebrated 40 wonderful years together. She was a loyal and devoted member of the Grace Fellowship Church in Avis. 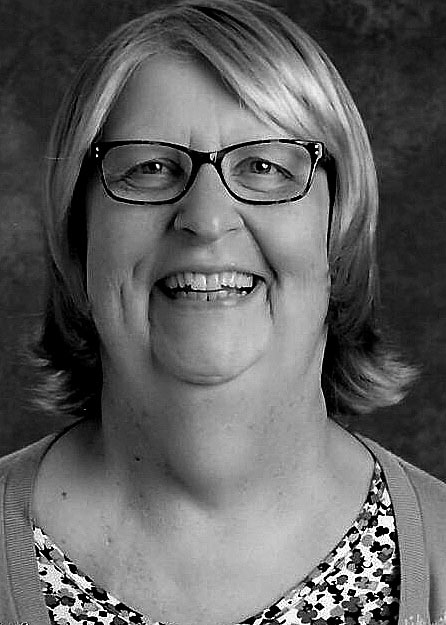 Kathy was the Principal at the Walnut Street Christian School for over 25 years; she also taught there and was a Guidance Counselor. Her greatest accomplishment in her life was her family; she enjoyed spending time with them especially loving up on her grandchildren. Kathy took great joy spending time with her friends and her “school kids”. She was a great decorator and loved to read. Kathy’s Life Tribute Celebration will be held Saturday, March 9, 2019 at the Walnut St. Baptist Church 201 Highland St., Avis, Pa. at 11 a.m. with her Pastor Rev. George D. Grossman, Grant Helsel and Timothy Longnecker officiating. Friends and relatives are welcome to call on Friday, March 8th from 6 – 9 p.m. and on Saturday March 9th from 9 until 11 a.m. at the Walnut St. Baptist Church. There will be a meal following the service at Grace Fellowship Church, 19 West Ridge St., Avis. The family will provide the flowers; her family suggests contributions be made to the Youth Program of Grace Fellowship Church 19 W Ridge Ave., Avis, Pa. 17721 or the Walnut St Christian School 201 Highland St., Avis, Pa. 17721 or the Gatehouse Hospice 100 Grampian Blvd., Williamsport, Pa. 17701. Please visit rearickcarpenter.com to leave your fondest memories or condolences.